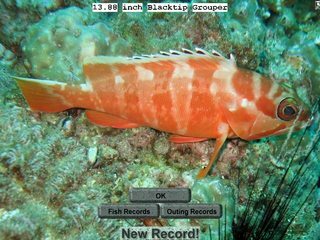 Please click on this link to download the new Blacktip Grouper I made for Martin's new outings. The maximum size is 17.5 inches. Have fun catching this beautiful little grouper.